Do you prefer a check ride at your home airfield? Do you have your own airplane? Upon prior arrangement I can come to almost any airfield in Germany or in the Benelux countries. Thanks to my European licenses, check rides can be given also on European registered airplanes. If you wish any kind of ground training (theory) in Germany, I will work in partnership with you to design, develop and deliver an effective training program. 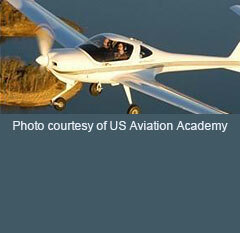 If you consider going to Texas for any kind of flight training, US Aviation Academy can offer you programs of any length or complexity in its professional training facilities.